When you visit, interact or use our website, we collect general data and may as well collect personal data. General Data usually includes cookies that is recorded automatically when you first visit the website, to give you a better experience when you revisit our website. User data includes, but is not limited to, your browser type, device, IP address, language, and session statistics (“User Data”). When you send us a request by any contact, subscription or registration form we collect Personal Data that include your name, your contact information and few other personal details as permitted by you. Personal information includes, but is not limited to, your first and last name, citizenship, city, and your email address (“Personal Information”). We will minimize the amount of information we collect from you to what we need to deliver the product and services you have requested. If you are browsing our Site, you are anonymous to us, but we will still collect User Data, like browser type, device, and IP address, during your session through web analytics services to monitor site usage tracking. This User Data is collected for all Colours Destinations visitors, is non-personally identifiable, and is used to manage, monitor, and track usage to improve our website’s services. Once this data is collected, it is stored in our web analytics services indefinitely or until we deem it necessary to delete. We also use social media buttons and/or plugins on this site that allow you to connect with your social network in various ways. For these to work the following social media sites including; facebook, tweeter and others, will set cookies through our site which may be used to enhance your profile on their site or contribute to the data they hold for various purposes outlined in their respective privacy policies. If you voluntarily provide Personal Information to us through any forms, tools, or services on our Site, you will no longer be anonymous to us. Your User Data and Personal Information will be collected and stored in our database. Taking into account the state of the art, the costs of implementation and the nature, scope, context and purposes of processing as well as the risk of varying likelihood and severity for the rights and freedoms of natural persons, Colours Destinations implement appropriate technical and organizational measures to ensure a level of security appropriate to the risk. Colous Oasis Resort ensures the ongoing confidentiality, integrity, availability and resilience of processing systems and services. Colours Destinations implemented a Secure Sockets Layer (SSL) cryptographic protocol that provides a secure channel between two machines or devices operating over the internet or an internal network. You have the right to obtain from Colours Destinations without undue delay the rectification of inaccurate personal data. 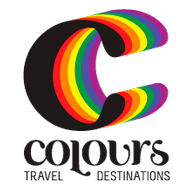 Colours Destinations uses a third party to manage our advertising on other sites. Our third-party partner uses technologies such as cookies to gather information about your activities on our site and other sites in order to provide you advertising based upon your browsing activities and interests. If you wish to not have information used for the purpose of serving you interest-based ads, you can opt-out by contacting us by email at info@coloursoasis.com. Please note this does not opt you out of being served ads – it just opts you out of receiving personalized ads, but you may continue to receive generic ads. Marketing: We will use your information as is in our legitimate interests to send out promotional emails (subject to seeking your consent where required by applicable law). These emails include beacons that communicate information about the email back to Colours Destinations. Such tracking allows Colours Destinations to gauge the effectiveness of its advertising and marketing campaigns. Recipients can opt-out of receiving promotional communications from Colours Destinations by following the unsubscribe instructions provided in each email or by emailing info@coloursoasis.com. Colours Destinations sends regular newsletters to all Users and Providers that subscribe through our website or other online email marketing signup, contact forms or information provided by Third Parties. These newsletters were created to ensure we provide the best possible service to our community.